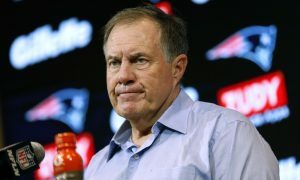 Last night, the night before the NFL trade deadline and Halloween, Belichick made a massive trade. The Patriots traded Jimmy Garoppolo to the San Francisco 49ERS, for a 2018 second round pick. With this move, it’s clear the Patriots expect Brady to be the guy at least until his contract is up. I believe Brady will play until he is 45, and retire a Patriot, which means he and Belichick will walk away together. 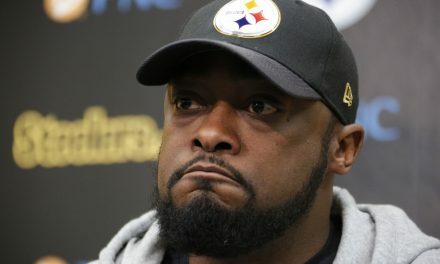 Thus leaving the Patriots with no decent quarterback. 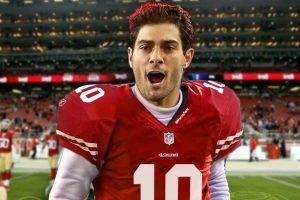 I get Garoppolo wanted a chance to play, but why not give him a contract to be a backup until Brady is done? 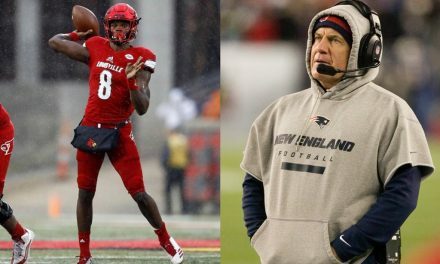 The Future Of The Patriots Post Brady/Belichick? I know people think it’s a stupid idea to do that. If you’re planning for the future, which is post Brady, you give Garoppolo a contract to back up Brady now. When Brady is done, and Bill is done, Jimmy is the starter, and Josh Mcdaniels the head coach. Instead, Brian Hoyer could be coming back here, and he is no Garoppolo. They have to draft another quarterback to again shadow Brady. 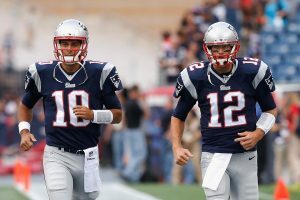 Garoppolo has two Super Bowl rings, and has been here for two and a half years shadowing Brady. 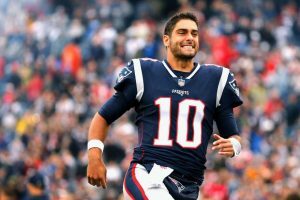 Will Garoppolo comeback and be the starter after Brady is gone in five years at most? 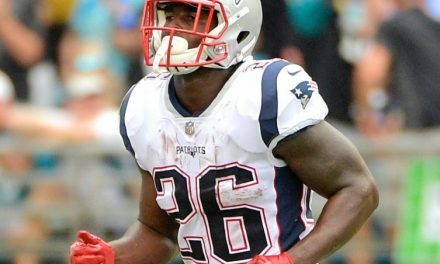 That question remains to be answered, but here is an alternative or fake news fact: Brady gets traded to San Francisco in three years, and Garoppolo comes back as the starter. That would never happen, Brady is bigger than the team, and the Krafts won’t let Belichick trade or cut Brady. In 10 years, the Patriots could be the next Cleveland Browns. Whichever quarterback they have hopefully gets them on the right track. 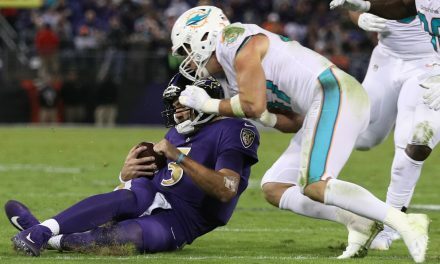 This could still be Garoppolo, who again could get some playing time, and come back when the time is right. Garoppolo wasn’t told about this trade by Belichick, but rather was told by his agent, Don Yee (Yee is also agent to Brady). Belichick said in his conference call this morning, that he and Jimmy had weekly meetings. You would think a potential trade would have come up in one of those meetings. Apparently not, as Garoppolo was caught off guard. Enjoy these last two to five years of Brady. After he’s gone, it will be back to the way it was before. 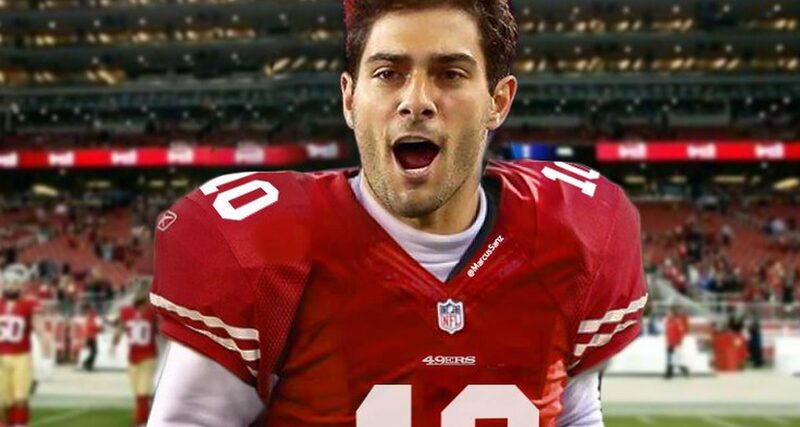 Hopefully Garoppolo comes back, because at least they would have a decent quarterback.